Note: Lucas and I have no idea how much we spent on gear. However, we purchased most of it at a discounted price. Here’s a few suggestions on how to find deals. 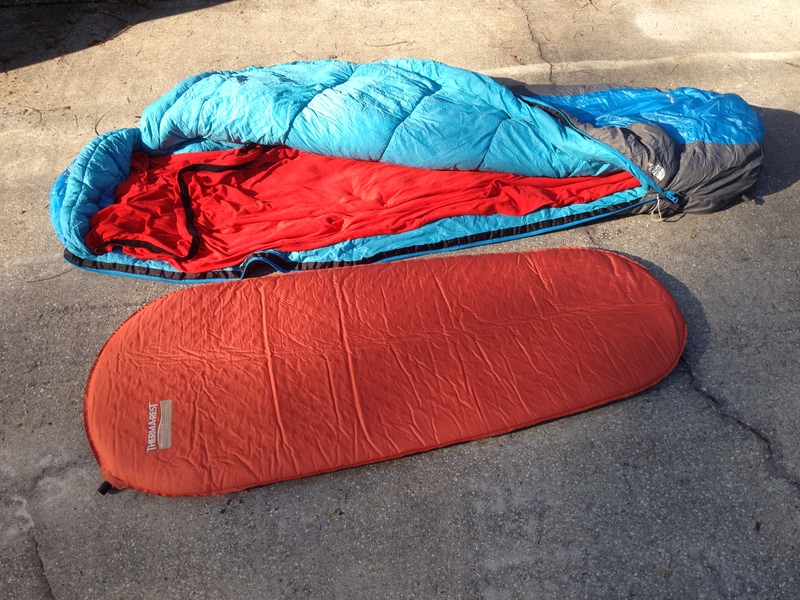 The Clymb, Steep & Cheap, and the REI-OUTLET are good places to check regularly. Also, look in the clearance section of your local outdoor stores, and even generic retail outlets. Amazon! Just make sure to watch the prices (they change often). Amazon also refers you to deals offered by other sites like Sierra Trading Post, and if you click through the colors on various items, odd colors are almost always cheaper (hence why my clothes are so bright). Don’t forget thrift-stores, especially if there are outdoor related ones in your area. Lucas bought a nice Columbia fleece from Goodwill for less than two dollars. With that said, here’s our gear list! First Aid Kit Ibuprofen, Medical Tape, 6 Bandages, Gauze, Benzoin Tincture, 2 gloves, tweezers, nail clippers, antihistamine, safety pins, tiny floss, thread, needle, and Iodine Tablets. 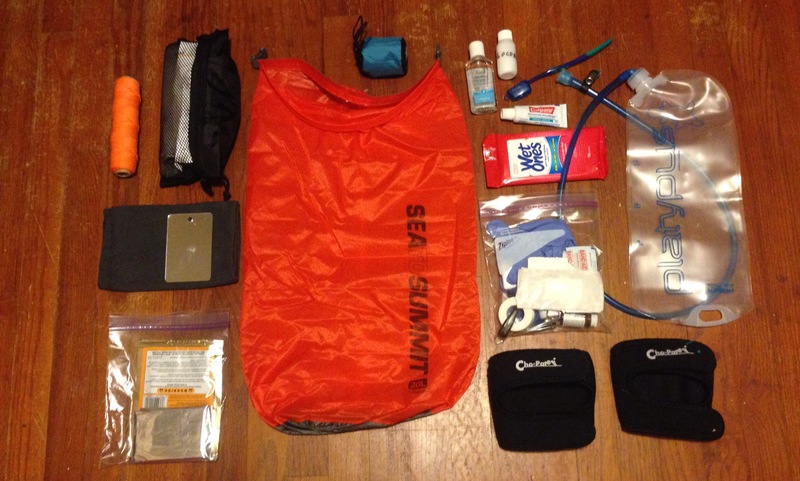 Toiletries In Ziplock bag – Sunscreen, insect repellent, chapstick x2, toothbrushes, small toothpaste, Bronner’s soap in 2oz bottle, Wet Ones, gold bond, petroleum jelly, and hair ties. Montana’s backpack baseweight is about 16lbs and Lucas’ is 19lbs. Our tent uses trekking poles to prop it up, and only weighs 2lbs. Best. Investment. Ever. 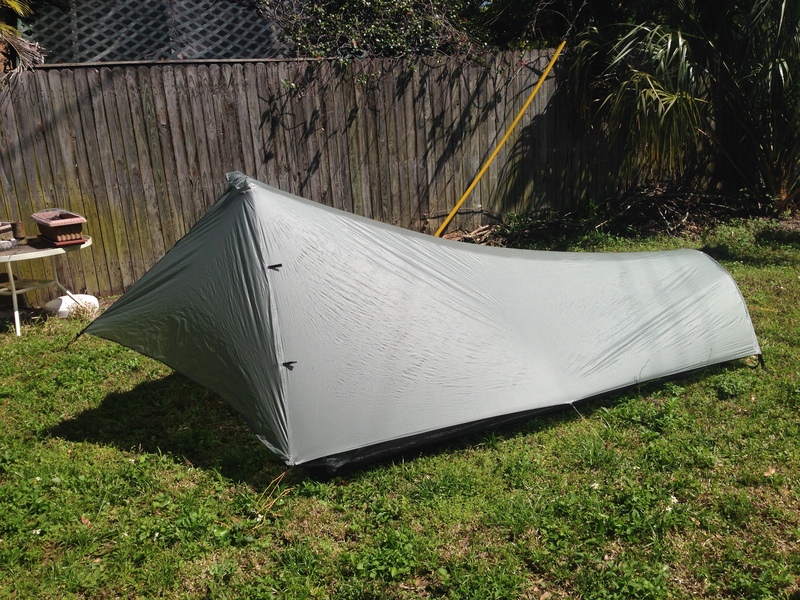 Check-out TarpTent. There are great quick-dry clothes at Target. We even bought a water-resistant watch on sale for $10, aka our alarm clock. For the ladies with back pain or Scoliosis, Target also has quick-dry bras (not sports bras) that feel fantastic. Columbia fleece jackets last forever. I’ve had a boy’s fleece for seven years. 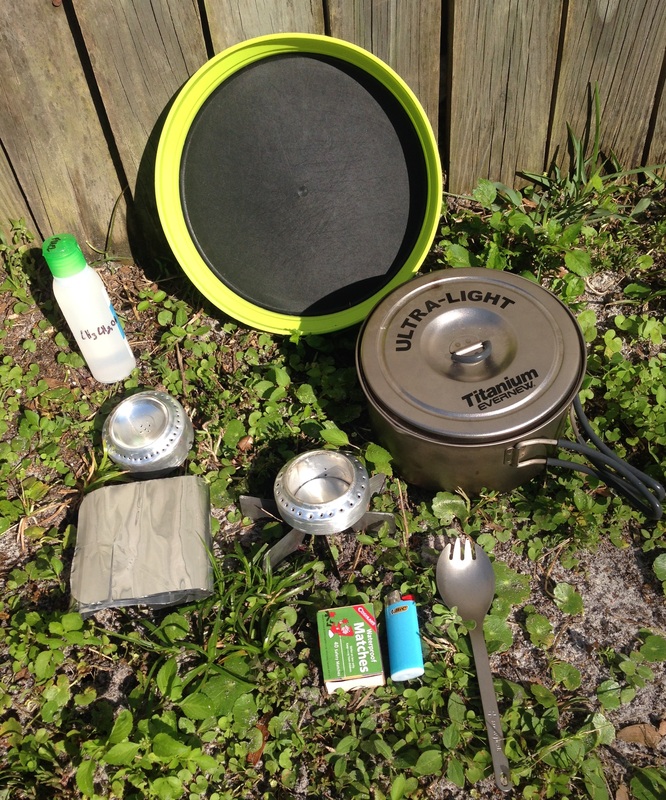 It has survived everyday use, numerous rock climbing & camping trips, summited a mountain, and more. No snags, no holes–it’s perfect. Cho-Pat Dual Action Knee Braces are great for crummy knees. Seriously. Get these babies if you experience discomfort or pain. I’ll write a review soon. 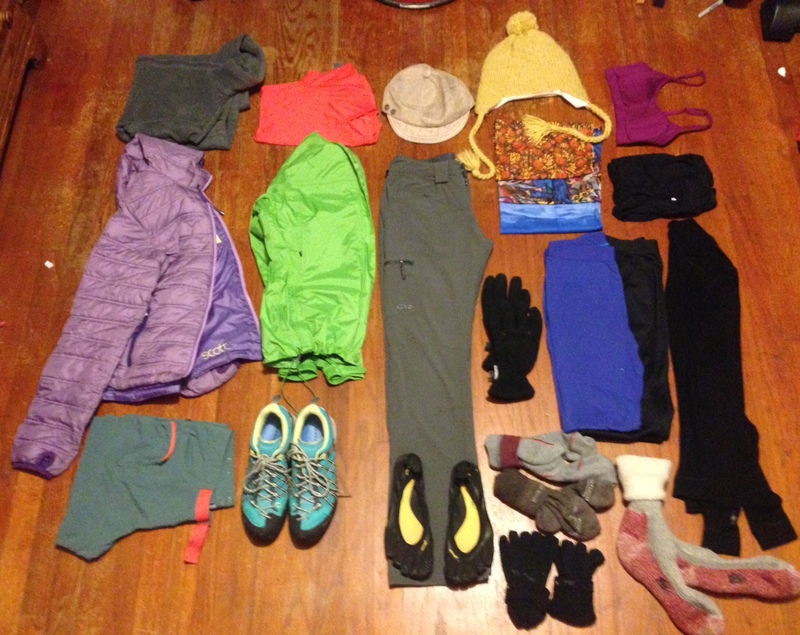 We’ll mail our cold weather gear back home around Damascus, VA, so our pack weight will drop a few pounds. And that’s just about it!